For most people, appearing in Court, even as a witness, can be a very stressful and worrying experience. However if you have been charged with a criminal offence or have been asked to attend a Garda station to give a statement or you have been summonsed to appear in Court you need immediate legal advice . It is not advisable to appear in Court without being represented by a Solicitor. Criminal Law is a complex area in which you require expert legal guidance and representation. 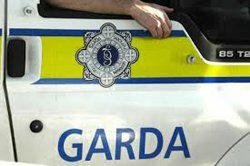 Do you make or are you required to make a statement to the Gardai? Do you plead guilty and to what offence? What evidence can I challenge in Court? A conviction recorded against you can have immense repercussions for your employment and even your ability to travel to other countries. Don’t wait until it is too late, contact us now for your immediate and free first consultation. Matthew Byrne has detailed and wide experience in the entire CRIMINAL JUSTICE SYSTEM appearing on behalf of clients in the District Court, Circuit Criminal Court and Court of Criminal Appeal.